In 2016, we told the story about one of our special recipients, Heather Matthews. At the time, Heather was a 14 year old special needs Tappan Zee High School student who had been diagnosed with Traumatic Brain Injury from Viral Encephalitis. Heather has a severe seizure disorder and left side paralysis. Born and raised in Tappan New York, Heather was struck with this rare virus at age two. Her life changed overnight as she regressed to a newborn and was paralyzed entirely on her left side. Her seizure disorder continued to be her daily challenge as she can experience up to 30 petit-mal seizures on any given day. Although her paralysis has progressed through extensive therapy, her left side weaknesses include her leg, arm, vision, and speech. Heather continues to have no use of her left hand. 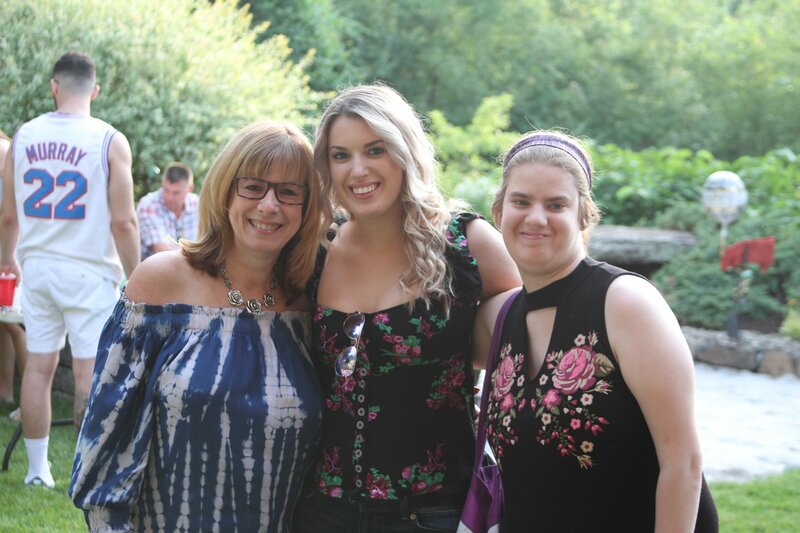 In their ongoing challenge to help Heather with the effects of the damage that was done to her brain, Heather's family is giving Heather that chance through a life changing surgery. Heather has already undergone part one of a functional hemispherectomy which hopefully will help minimize or even eliminate the seizures that she undergoes every day for the past fifteen years. Part two is scheduled for Monday, July 16 at Columbia Presbyterian Hospital. Despite the dangers manifest in this invasive brain surgery, Heather is full of the optimism that is 50% of her battle. As a newly minted 17 year old, Heather is ready to for a big break in her health. Her family is requesting prayers and positive vibes for their deeply cherished young woman. Please add Heather to any prayer circles or parish lists as she looks for her miracle. We love you, Heather!